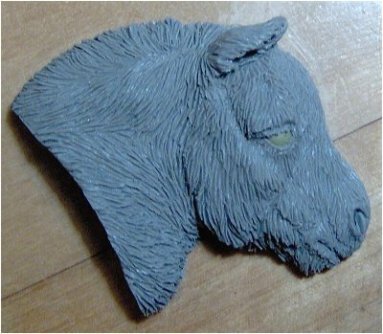 Below are some of the animals I've sculpted over the years - I've done scale animals, life-size animals, and also brooches and medallions. 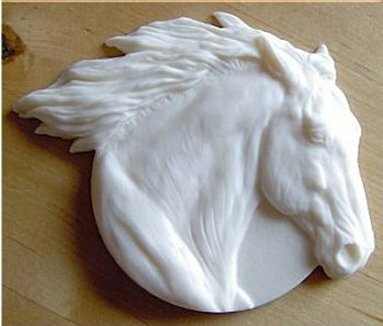 The natural world provides some fascinating subjects. 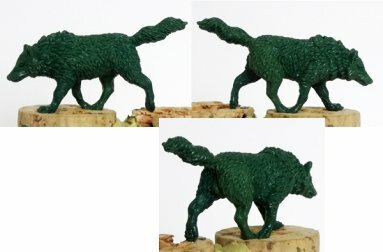 1/56th (28mm) Wolf sculpted for Oathsworn Miniatures. 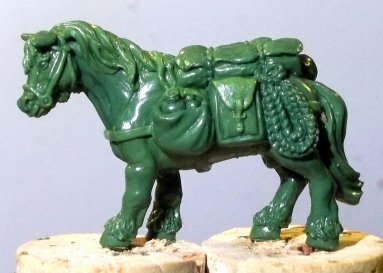 1/56th (28mm) Pack pony sculpted for Oathsworn Miniatures. 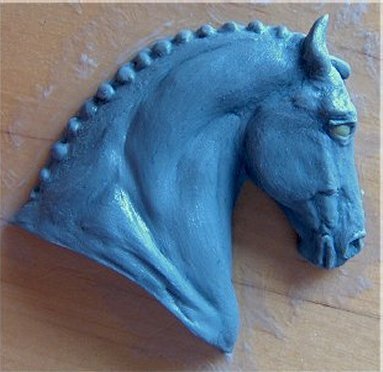 1/56th (28mm) Arab / Akhal Teke type horse dollies sculpted for Immortal Miniatures. 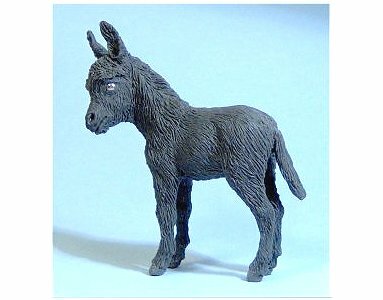 This Donkey foal is a Stablemate scale model sculpted for Horsing Around. 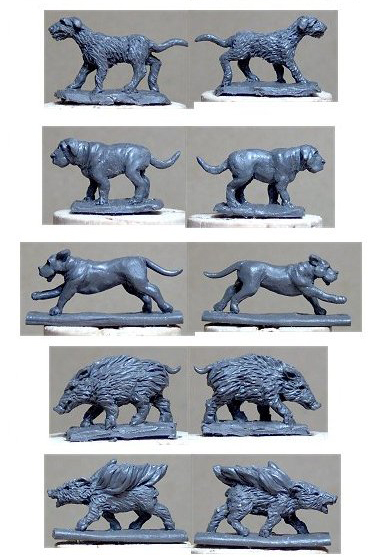 Here are some 1/100th scale animals for Scotia Grendel's Xyston range. 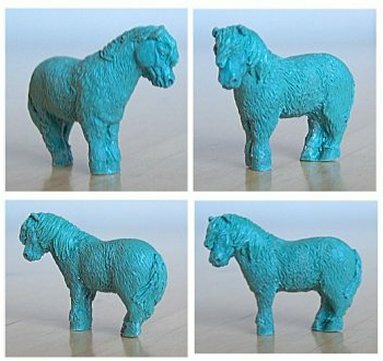 The pig at the bottom is on fire; don't ask! 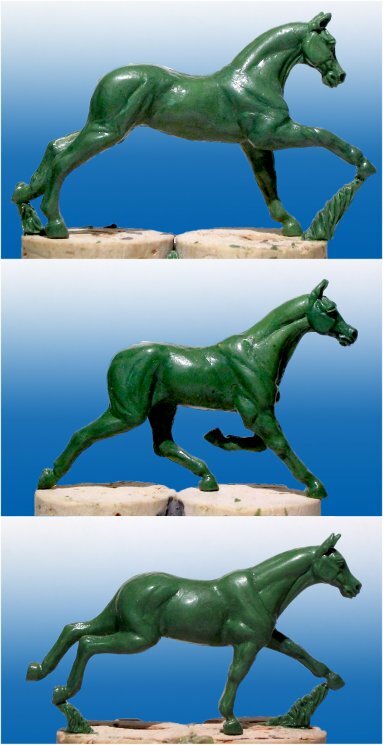 This Thoroughbred foal is a Stablemate scale model sculpted for Horsing Around. 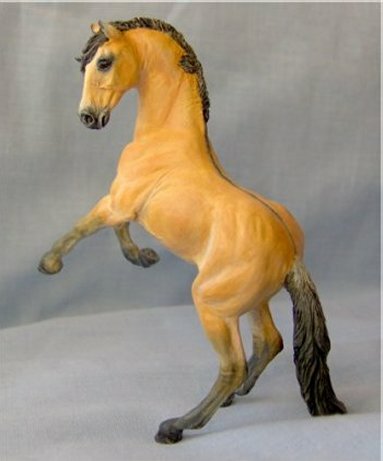 This Arab foal is a Stablemate scale model sculpted for Horsing Around. 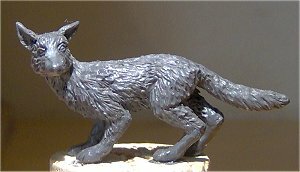 A 1/32nd scale fox for Horsing Around. 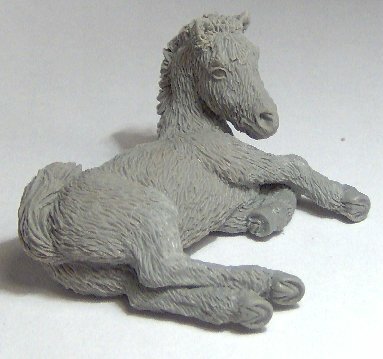 This is a Miniature Shetland pony foal, and it is a Stablemate scale model sculpted for Horsing Around. 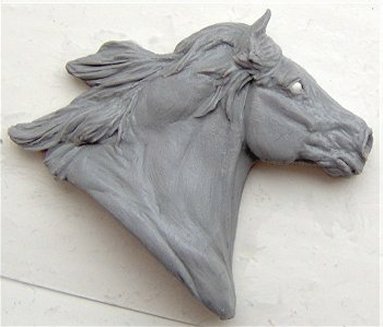 This donkey foal is being produced as a china brooch by Horsing Around. 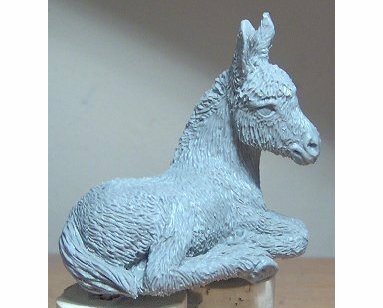 This is a Stablemate scale donkey foal, which is to be released by Horsing Around as a resin edition. 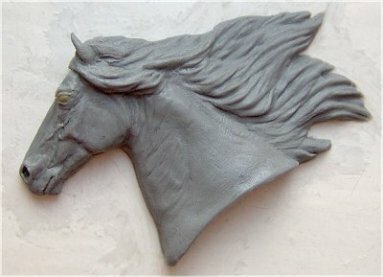 This is Tempest, a Mustang horse, in Breyer's Stablemate scale (1/32nd), and was cast as a resin edition by JJ Smith. 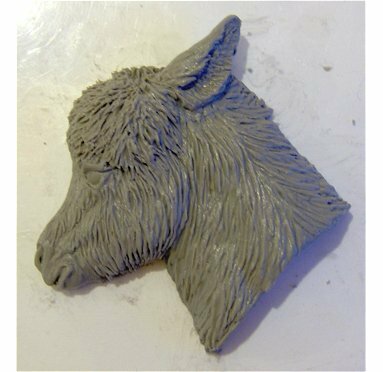 Next is Wee Lassie, a Micro-mini scale (1/64th) Shetland pony - sold as the world's smallest Artist Resin edition. 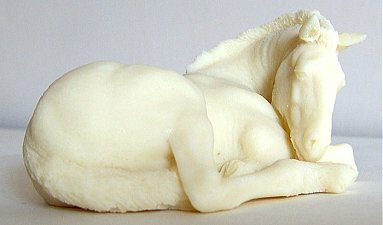 Acorn, a Traditional (1/9th) scale Shire horse foal. 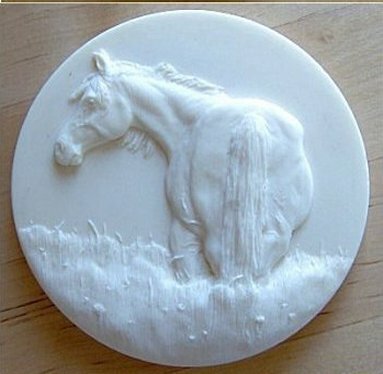 Next are several medallions which were sold as resin casts to model horse collectors and showers. 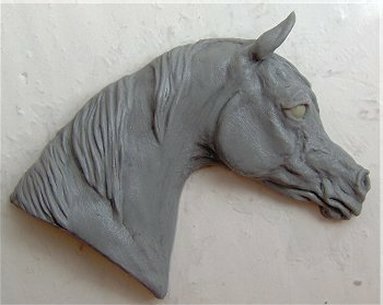 First is Quiet Life, a Shagya Arab mare just hanging around in a field. 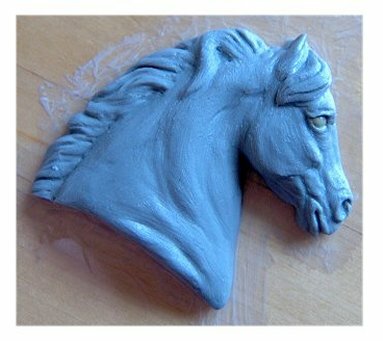 Next is Spaniard, a galloping Andalusian. 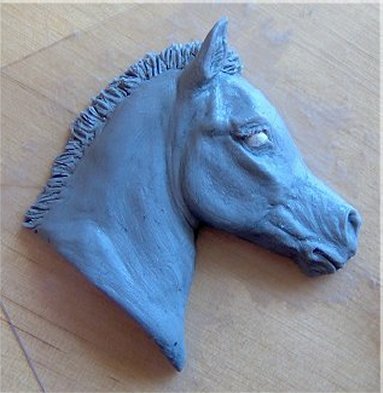 This is Azarax, meaning 'Son of Fire', the Byerley Turk. 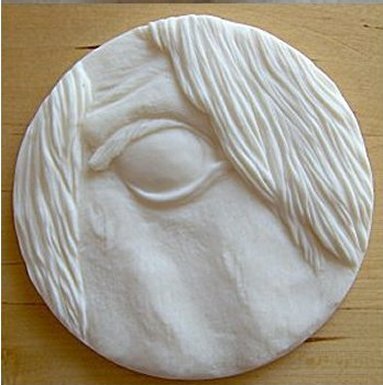 Next is Window, a close-up view of a horse's eye. 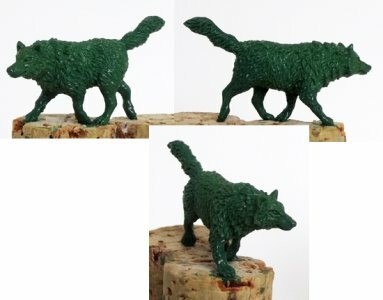 I did this one just to see what finishwork people would come up with, and to my delight, there are some really beautifully painted examples around now. 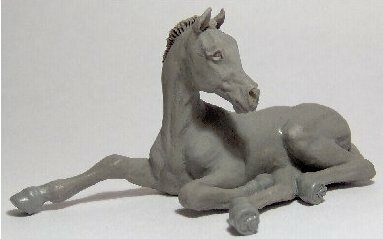 This is Family, an Arab mare and foal having breakfast together. 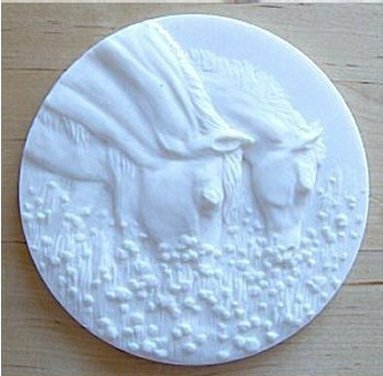 An Exmoor pony relief. 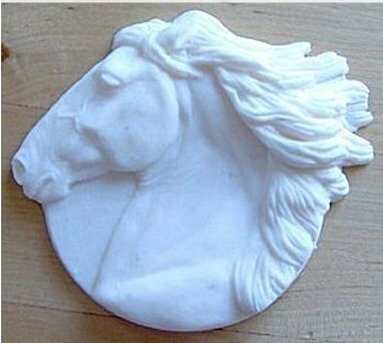 This had a magnet attached to the rear and was sold as a fridge magnet. 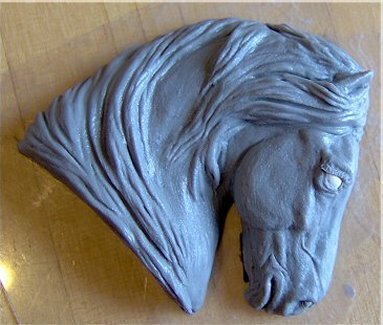 There was also a few cold-cast bronze versions. 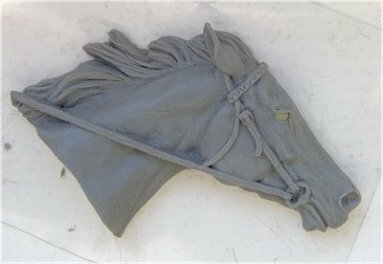 This is Racer, a Lusitano stallion out for a run. 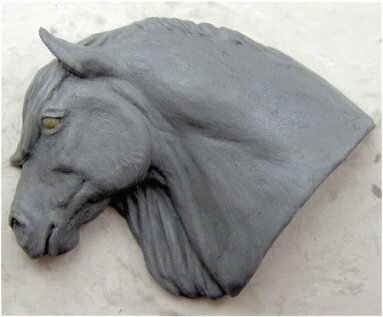 Next are a selection of equine heads designed for Horsing Around which are being produced as china brooches. 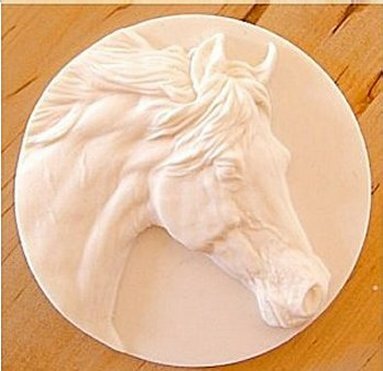 First is a Thoroughbred race horse. 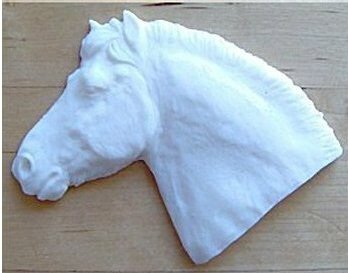 Next is an Arabian horse. 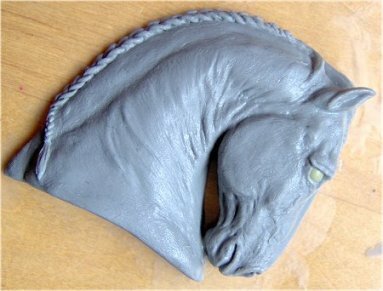 A Section A Welsh pony. 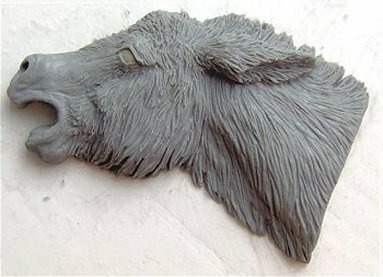 A Donkey, for all you long-ear lovers. 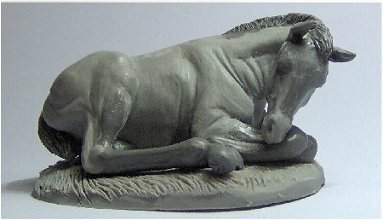 Lastly a Shetland pony foal.